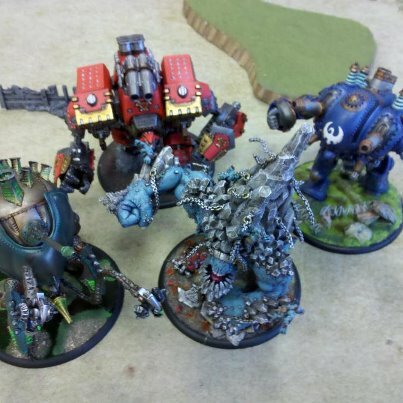 Last night was warmachine/hordes night at the FLGS, and who came out to play? All the colossals that you can get! And they are all painted very well! Some highlights of the games I watched. Mountain king died to a scythean (Stupid Legion), and then the troll caster shotgunned Absylonia to the face! Conquest (sorta) solo'ed an entire Cygnar army! 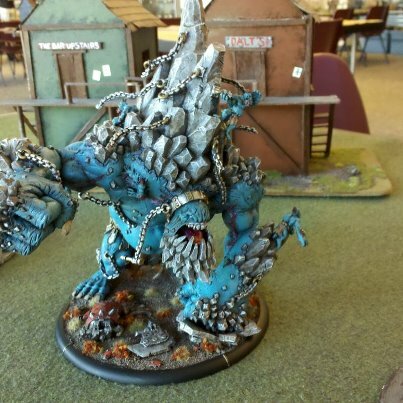 The mountain king looks freakin excellent. I just wanna give a shout out to Travis for the work he put in on that thing. Good Job, man.